Fitbit's first smartwatch, the Fitbit Ionic, was hardly a success. When paired to a handset, the Ionic gave users notifications related to texts and phone calls, and with a smattering of apps, a mobile payment system, GPS, and Fitbit OS, the company figured that the Ionic would appeal to consumers interested in a smartwatch. But the large size of the display apparently turned off potential female buyers, something that Fitbit is said to be addressing with its next smartwatch. Thanks to a report published today, we can see that Fitbit's second smartwatch attempt is being prepped. Called the Fitbit Versa (thanks to Evan Blass for that information), one source with knowledge of the company's plans said that Fitbit "wants this to be something that will appeal to a larger, more general smartwatch audience." That might be code for this time we are going to appeal to both genders. The new timepiece is smaller than the Ionic, matching up in size with the Fitbit Blaze. The Fitbit Versa will reportedly be water resistant to 50m (164 feet). While it won't offer GPS, it will come with the SpO2 sensor. That means that the new Versa will be able to monitor for sleep apnea, a serious condition that causes a person to stop and start breathing while asleep. Fitbit will need first to enable this feature on some of its devices. Perhaps more importantly, Fitbit has supposedly been working on buffing up the App Gallery. Most importantly for a mass market product, talk is that the Fitbit Versa will be priced cheaper than the Ionic; the latter sold for $299.95 when it was launched last October. 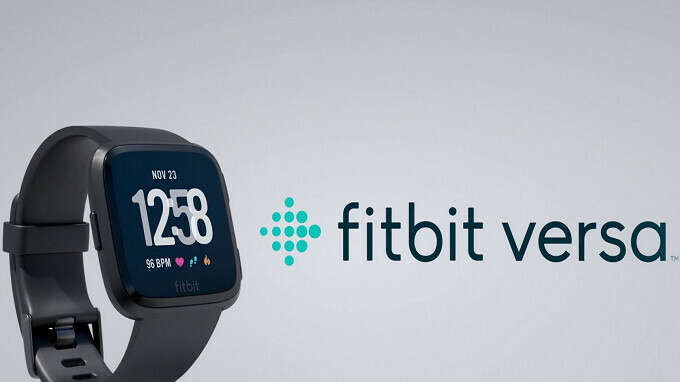 There is no word on when we might expect to see Fitbit make this official. Careful now. You might upset some mentally ill people who think there's more than 2 genders..
Not only that. Some mental feminists will will be furious fuming about gender thing. I was thinking the same thing. Last count we were up to something like 32. Hah. Beat me too it. Like the design. Looking nice. Agreed, but it does look a bit thick tho. I suppose it's difficult to find a good compromise, as a thin smartwatch would result in a bad battery life. I would personally prefer a worse battery life, if it meant that the smartwatch was more comfortable, as i would wear it for a lot of hours during the day. This i don't understand, why these companies left huge market outside of their smartwatches? Apple got it right and made smartwatch design which suits both men and woman and had lot bigger potential to sell them. I'm surprised how many womens i see wearing Apple Watch. Oh man, Midan applauding Apple in an article that has nothing to do with Apple? Who would have seen that coming! I'm surprised of how many times you're able to cram Apple worshipping into everything. Not to mention, that smartwatch design was there before. It was used by Pebble and others. So not related to article and wrong as well. Nice looking. Should offer 2 sizes like Apple. Yes, this looks really good. Missing GPS is a bummer. Currently in the market for a smart watch to use especially while running.